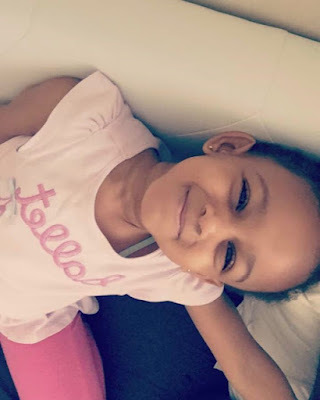 Music executive Jude Okoye took to his IG page to celebrate his daughter Emma Adanna as she turns three today. "Hip hip hip huraayyyy. Princess Emma Adanna is 3. Happy happy birthday my sweet heart. May the Lords blessing and Grace be upon u as you grow on His presence. Amen. Mommy and Daddy loves u dearly. I am still clearing your Mercedes G wagon container #G63 #amg"